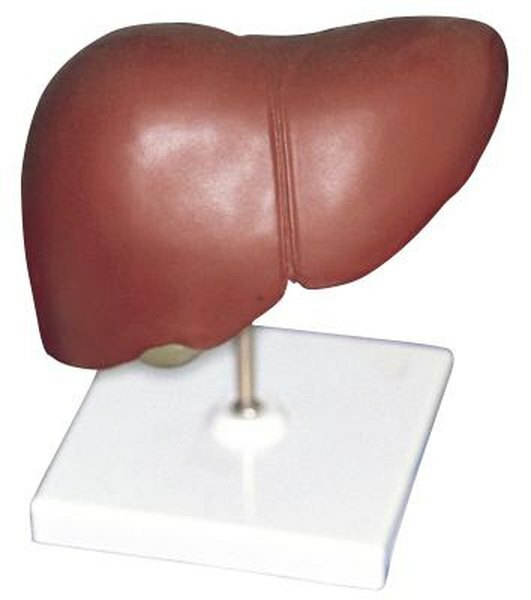 Your liver is the largest and one of the most crucial organs in your body. It's vital for digestion and for cleansing the blood of toxins. The liver is vulnerable to a number of diseases, including cancer, cirrhosis, congenital liver defects and hepatitis, a dangerous inflammation of the liver caused by viral infections. Vitamins and supplements can affect the liver in beneficial ways, but, taken in large doses, they can also cause harm. Ask your physician which vitamins and supplements are appropriate for your condition. Several botanical and dietary supplements might be useful in treating the symptoms of viral hepatitis, supporting liver health and healing liver damage, according to herbalist Stephen Harrod Buhner in his book "Herbs for Hepatitis C and the Liver." They include turmeric, an anti-inflammatory spice that stimulates the production and flow of bile; milk thistle, used to normalize liver function in people with cirrhosis and hepatitis; alpha-lipoic acid, an immunostimulant that might help reduce the risk of liver cancer; and selenium, a liver detoxifying mineral. However, more research -- including long-term clinical studies -- is needed to know exactly how much these supplements help your liver. Buhner says the vitamin B complex, vitamin C and vitamin E might positively impact liver health. The vitamin B complex helps regulate the detoxification processes of the liver. Vitamin C might help speed healing time in those with liver damage, and vitamin E might help stave off the molecular changes seen in cirrhosis. The use of these vitamins is not a reasonable substitute for advice and treatment from a qualified health professional. A number of dietary supplements, from commercial bodybuilding formulas to traditional herbal remedies such as chaparral, kava, mistletoe, comfrey and pennyroyal, have the potential to cause liver damage. According to a 2008 study in the journal "Gastroenterology," a prospective study of 300 patients with drug induced liver injury found that herbal and other dietary supplements were responsible for roughly 1 in 11 cases. People who have been diagnosed liver damage should be especially cautious about using any dietary supplement, and should only do so under the supervision of their physicians. Excess amounts of the fat-soluble -- vitamins A, D, E and K -- are stored in the liver and fatty tissues. Large doses of these vitamins can be risky. The accumulation of these vitamins in the body can cause symptoms such as liver enlargement, gastrointestinal disorders and kidney damage, according to the Colorado State University Extension. B-vitamin complex and vitamin C are water soluble, meaning they are not stored in the liver or other tissues. They are less likely to be harmful, even in excess. To reduce the risk of toxicity, only take vitamins under your physician's supervision. What Are the Two Groups of Vitamins?